It’s not a light hearted film that will cheer you up. Yes, there is a birthday party at the beginning of „Third Star“, guests are happy, table is ready for them. But somehow things are not real. That’s because James Kimberly Griffith (Benedict Cumberbatch) has cancer. It will be his last birthday and everyone knows this. „I’ll turn 29 today, won’t see 30“, says James at the beginning and sums all the tragedy in one sentence. He introduces his family, his best friends who drop in and within a few minutes the audience is hooked while James and his friends Davy, Bill and Miles are up to their trip to Barafundle Bay, James‘ favourite place on earth. „Third Star“ is heartbreaking in it’s intense focus on James who is fragile and rude and well aware of all of his surroundings and of the fact that his friends – brilliant played by JJ Field, Tom Burke and Adam Robertson – will have lives he doesn’t agree with but lives he will never be able to have himself. 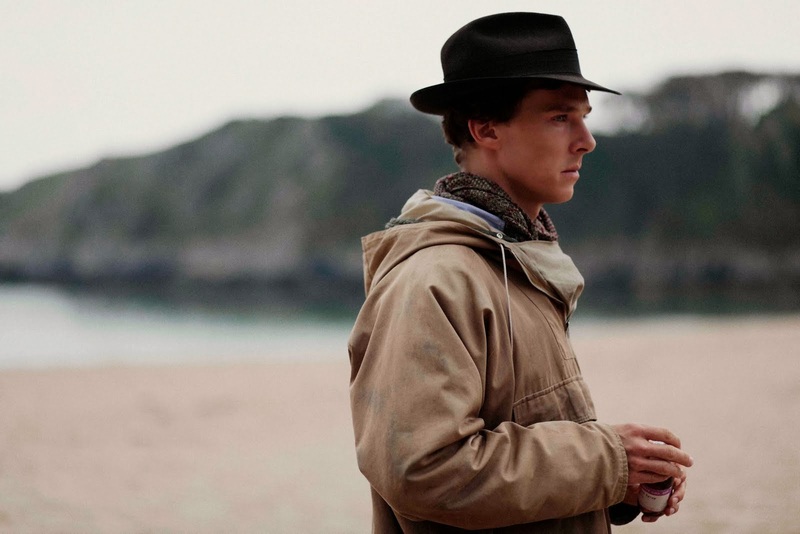 Benedict Cumberbatch’s James is fragile, childlike in his joy of ordinary things and always holds his public at the edge of tears (and honestly beyond this edge) without being kitschy. If part of this article sound weird this is due to the fact that I’m not a native speaker, so don’t be too harsh.